It’s a little bit do-it-yourself, a little bit design-it-yourself and a whole lot of fun. These brilliant new light shades allow you to get creative – without even getting your hands, or home, dirty. 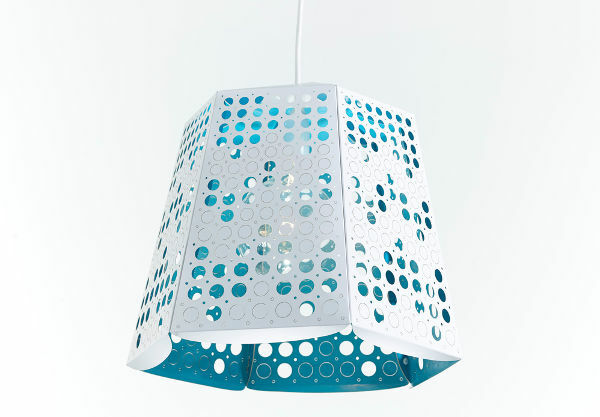 A light shade is so much more than a light shade when placed in a nursery. It can be the focal point, and a point of interest for babies settling in their cots. This particular creation has been designed by two internationally acclaimed designers, Rina Bernabei and Kelly Freeman of bernabeifreeman. Oh, and of course, the finishing touches will be added by you! The multi-award winning duo have created the Pop Light – a flat packed pendant shade that comes to you ready to make your own. 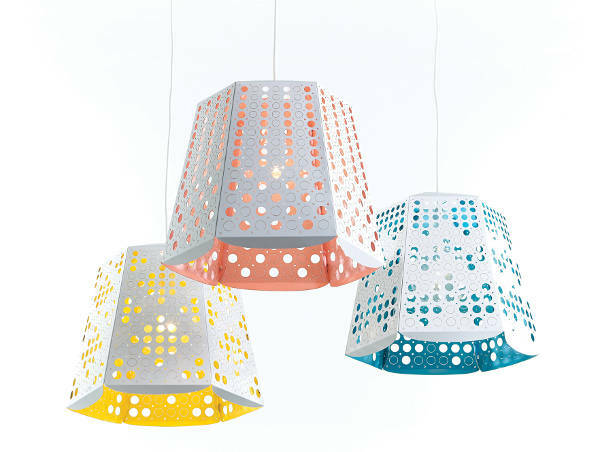 You just pop out whichever holes take your fancy, from the pre-perforated panels, and hey presto, you have your very own, unique designer light shade. The white exterior, and pop of colour within the light shade (either yellow, pink or teal) make it subtle, but playful enough for a nursery. 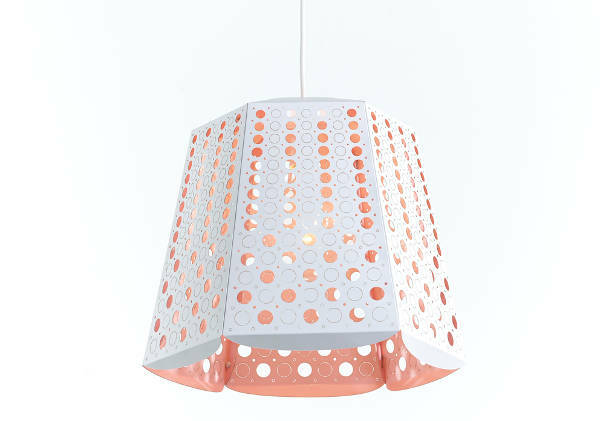 The shade comes with six cardboard panels, a two-part crossbar and fixing pins.There is no flex or light source with the shade, you simply attach it to an existing light fixture – perfectly DIY! The Pop Light costs $132, from the bfshop, and postage is free within Australia.